The most popular goal I’ve seen for anyone beginning an exercise routine is to lose fat. Now, obviously diet is a HUGE part of dropping weight but this entry is all about reevaluating how you look at cardio exercise. What if I said there is a way in which you can burn up to 50% more fat in a fraction of the time? You’d probably say it was too good to be true or ask for the catch. Well, here’s the catch, I never said it was easy. The answer is high intensity interval training, also known as HIIT, circuit training, or Tabata. There are several other names that all equate to the same basic theory; brief, high intensity periods of exercise alternated with designated rest periods. 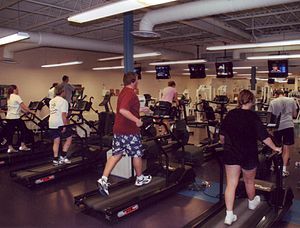 If you’ve ever been into a commercial gym you’ve most likely checked out the “cardio area” filled with tons of fancy treadmills, ellipticals and bikes as well as (most importantly) several TVs set up everywhere so members can lose themselves in a show and make the time go by quickly while they’re strolling along on their machine. There isn’t anything inherently wrong with this traditional type of cardiovascular training, certainly any exercise is much better than nothing. However, it is far from ideal when it comes to the goal of fat loss. With a higher intensity you burn more calories per minute. This is great to hear for the modern exercise enthusiasts who want to get in better shape but don’t have hours each day to spend working out. High intensity interval training speeds up your metabolism and keeps it revved up for some time after you workout – up to 48 hours! Something low intensity exercise fails to do. This means that your body will be burning extra calories well after you finish your workout. A phenomenon referred to as EPOC, excessive post-exercise oxygen consumption. 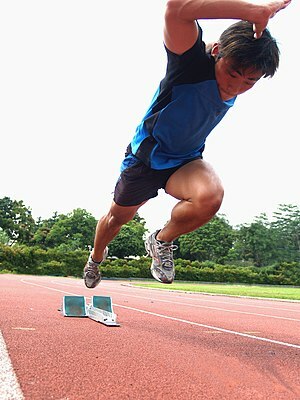 Interval training can be done using cardio machines, resistance exercises, aerobic exercises, outside sprinting, etc. Basically using any exercises/movements that can be performed at 100% max effort for the designated amount of time. You need no fancy equipment. Intervals: 20s at 100% intensity (sprint), around 2 mins rest (walk). This is probably the best for beginners since there’s plenty of time to catch your breath between rounds. Circuit 1: Three 30s rounds of different exercises with no rest in between followed by 30s rest, repeat as many as you can. (Ex. 30s jumping jacks, 30s squats, 30s pushups, 30s rest. Try keeping that up for 10 minutes!). Circuit 2: Four 30s rounds with no rest, repeat as many times as you can without resting. (Ex. 30s burpees, 30s crunches, 30s ‘mountain climbers’, 30s front plank. Tip: You can use an isometric exercise like the front plank to serve as an ‘active rest’ round to catch your breath). Tabata: 20s work/10s rest, repeat 8 times in a row. (Ex. All out sprint for 20s on pavement or treadmill then slow walk for 10s followed immediately by the next work set. See if you can do 8 rounds in a row!). Work up the intensity slowly depending on your level of fitness and be creative with the type of exercises you choose to do. Doing this will help keep things interesting and your motivation high. I recommend working your way up to 3-6 days a week of this type of conditioning. Work hard and you can get great workouts in well under 30min each! Healthy eating habits combined with high intensity interval training and weight training is the most effective way to achieve the lean physique that so many strive for. R. Bahr and O.M. Sejerste, “Effect of intensity on excess post exercise oxygen consumption,” Metabolism 40.8 (1991) : 836-841.